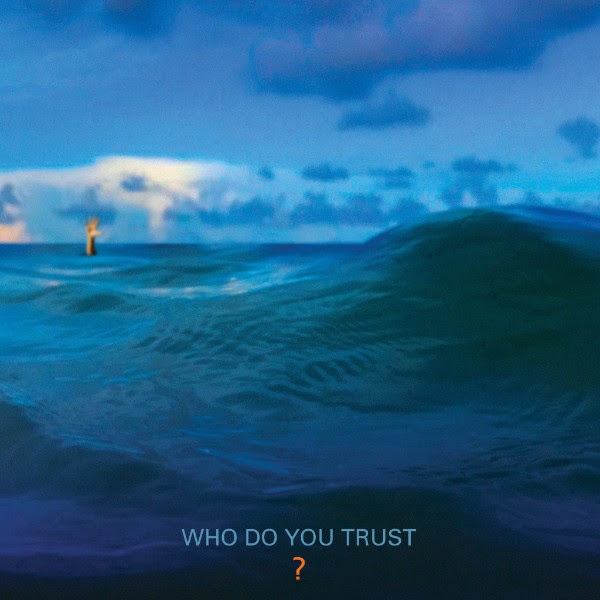 Friday, January 18, 2019 — Papa Roach release their tenth studio album today, 18th January 2019. Who Do You Trust? via Eleven Seven Music, is available to stream now HERE (DIGI, CD and Vinyl). Who Do You Trust? marks a paradigm career shift, redefining them and translating their sound to an entirely new audience, without losing their loyal fan base. “We wanted a new chapter in our career. We wanted to carve a new path, be ‘Papa Roach,’ true to form,” says singer Jacoby Shaddix. The figures tell their own story. Papa Roach are a rare breed. Time, as ever, is the real test. Sure, you might have hits early on in your career, but what do you do when the spotlight moves to someone else, when your initial heat cools off? Many are mistaken when defining the game of rock as a sprint rather than a marathon. Many lose their nerve, flail blindly and change their sound to whatever’s cool this week. Many retreat by default into their catalogue and continue touring as “heritage” acts or museum pieces performing to an ever-decreasing fanbase. Rare, however, is the band that holds their mettle, that take the time to grow, that use those moments when fame’s fickle finger is pointing elsewhere to take risks and to try new things. Rarer still is the band that goes through this process and comes out the other end making the best music of their career, and ready to change the world’s perception of them, and Papa Roach is exactly this band. Papa Roach will embark on a global trek for WDYT beginning with a short run of underplay venues at six sold-out shows in their home state of California. Following a headline stint on Shiprocked they join Shinedown and Asking Alexandria on the 2019 North American leg of the Attention! Attention! World Tour. The band head to the UK in April (with Nothing More supporting) as well as playing some European festival dates. Then it’s back to the US for a headline tour. For tickets, VIP packages and more information, visit www.paparoach.com. Papa Roach — Jacoby Shaddix [vocals], Jerry Horton [guitar], Tobin Esperance [bass] and Tony Palermo [drums] — have been one of the leaders in alternative rock for nearly 20 years and continue to impact that space with their upcoming 10th studio album, Who Do You Trust? The two-time GRAMMY-nominated band have sold over 20 million records worldwide, have garnered over 2 billion in streaming to date and charted over fourteen Top 5 hit singles and six #1 hit singles on three different radio formats (Active Rock, Alternative and Top-40), showcasing the band’s ability to consistently write hit songs —“Last Resort” (2000), “She Loves Me Not” (2002), “Getting Away With Murder” (2004), “Scars” (2005), “Forever” (2007), “Lifeline” (2009), “Kick in the Teeth” (2010), “Burn” (2011), “Still Swingin’” (2012), “Face Everything and Rise” (2015), “Gravity” (2015), “Help” (2017), “American Dreams” (2017), and most recently, “Born for Greatness” (2018). JOHN, THE VOID announce brand new album for the Spring 2019!